L 2500mm x W 1010mm x H 900mm (to top side rail). 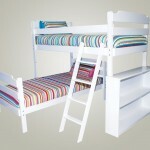 The Layla low loft bed is designed with storage space in mind. 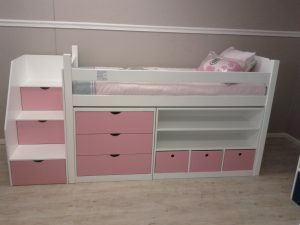 It’s the ideal bed for kids who want a bunk but also gives you a little bit more in terms of being able to keep their space nice and tidy. 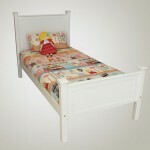 It’s also a really beautiful bed! 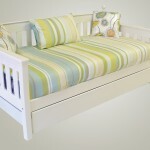 Designed with bookcase, drawer and deep storage drawer options, this bed is a firm favourite of customer’s to Kids Cove. 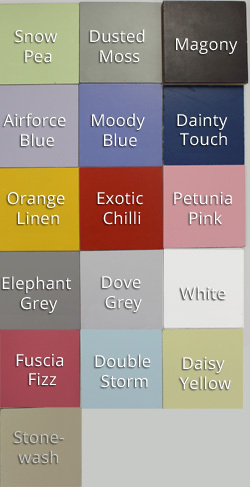 The drawer colours can be selected from our palette (left side of the page) or you can opt to have the whole bed in white or another solid colour. 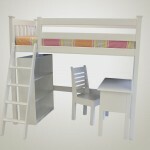 The bed can be ordered with stairs (which can be placed either end depending on the layout of your room) or you can choose to have it without the stairs and simply have a ladder at the end of the bed. When ordering please indicate clearly your options. 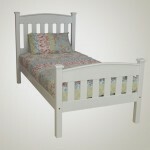 All prices excludes mattresses and bed linen.